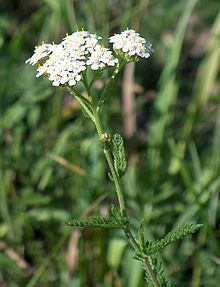 Achillea is a group o flouerin plants in the faimily Asteraceae descrived as a genus bi Linnaeus in 1753. ↑ "Achillea". Index Nominum Genericorum. International Association for Plant Taxonomy. 2006-02-20. Retrieved 2008-05-21. This page wis last eeditit on 26 Apryle 2017, at 17:32.